You may recall that in 1961, Stan Lee and Jack Kirby unveiled a new super-hero team called the Fantastic Four. For their team, they invented the character of The Invisible Girl. Now that was originality. Hey – Wait a minute! 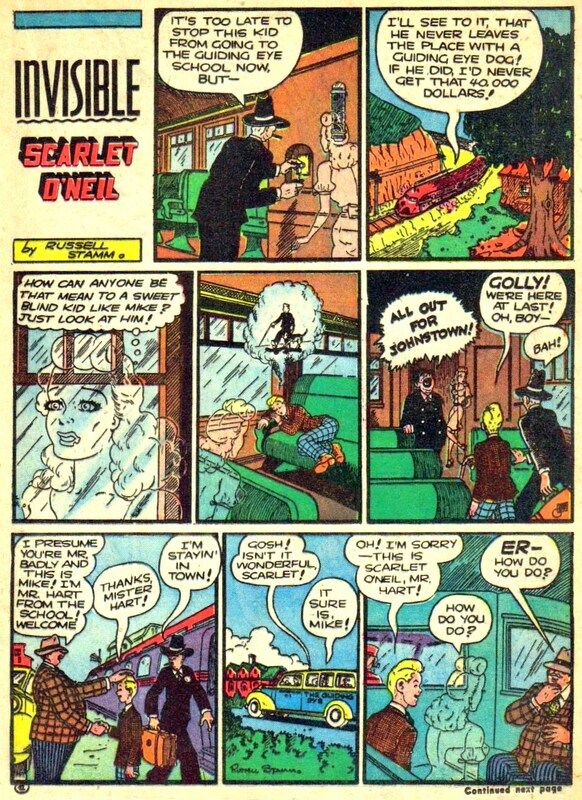 Did you know that 20 years earlier, in 1941, Famous Funnies published a series of adventures with their own Invisible Girl called Invisible Scarlet O’Neil? Behold two of Invisible Scarlet O’Neil’s 4-page adventures from Famous Funnies #89 and #90. Courtesy of the Digital Comic Museum. See more of our Golden Age Comics Gallery!